All wall group cluster mailboxes must have USPS approval for change of delivery mode and location of group mailbox. 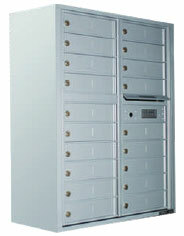 On a per customer/tenant basis, group mailboxes are far less expensive than individual mailboxes! 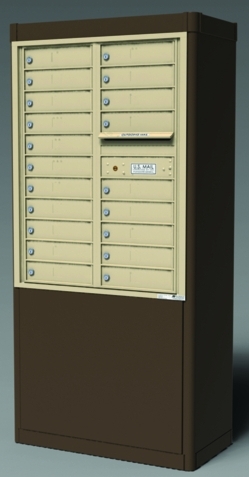 Replacing all previous horizontal or vertical wall-mounted group mailboxes as the USPS spec mailboxes for new construction and major renovations, the STD-4C horizontal mailbox system is configurable for nearly any size application while also providing the highest level of security for a wall mounted unit ever! Also available are the Vario™ Depot, Surface Mount Collar, and Post Mount mounting options for installing the 4C wall group mailbox units. To find out more, or to order, please request a quote online. 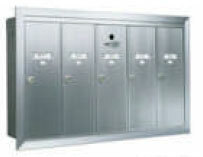 Still available for replacement of old units, the 4B+ spec horizontal and vertical wall-mount group mailboxes provide a cheaper alternative to upgrading to the 4C while still providing moderate security. These group mailbox units are subject to special restrictions.